Media PlayerVidEd is a browser extension created using the Crossrider engine. The application does not have a representative web page, which should be the first sign that this application is unreliable. If you install unfamiliar software that works in suspicious ways, you should delete it as soon as possible. We recommend removing Media PlayerVidEd as well, because this application is not only unreliable, but also quite intrusive. Learn more about this software by reading our report. The most common publisher of the suspicious Media PlayerVidEd is BadFinger Project, also known as BrightCircle Investments Ltd. However, the publisher may change depending on how Media PlayerVidEd is infiltrated onto your operating system. Since the distribution of this application is in the hands of third-parties, you might face different publishers. Of course, this does not change the fact that you should delete Media PlayerVidEd from your PC. Unfortunately, if you install the application from unfamiliar third parties, it is likely that you need to remove a bunch of other suspicious programs as well. Media PlayerVidEd could be installed onto your operating system packaged with various computer threats and undesirable programs that you will need to delete. The same goes for TV Time, PlusTotal, Give4sure, Totalplushd, and all other Crossrider applications distributed by third-parties. The software associated with Media PlayerVidEd could be malicious and could create havoc within your operating system, and so it is as important to remove this software as it is to delete Media PlayerVidEd. Our experienced malware analysts identify Media PlayerVidEd as an advertisement-supported program, because this application shows commercial advertisements and pop-up suggestions. 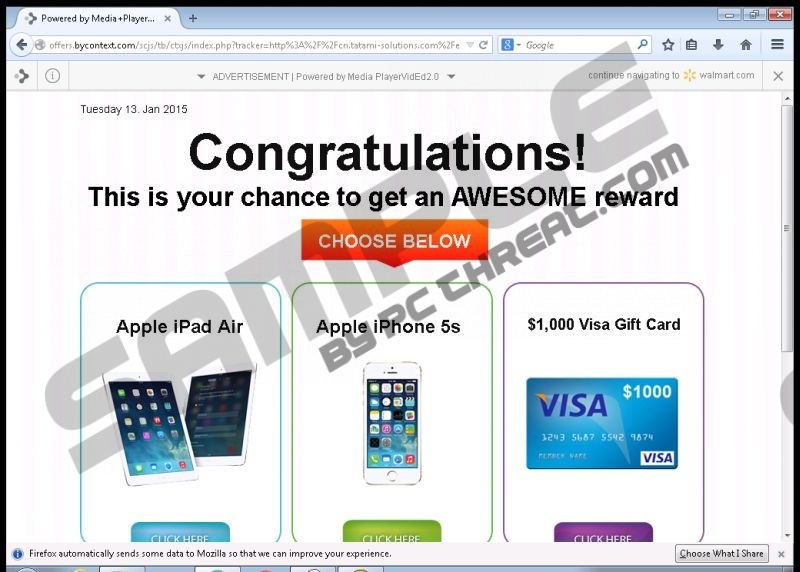 If you do not remove the application, the suspicious offers and ads will keep flooding your browsers, and this is something you want to avoid. Media PlayerVidEd is an unreliable program, and it may be connected to unreliable advertisers. If you do not want these parties presenting you with potentially unreliable and malicious offers, you need to remove the advertisement-supported application right away. You do not need experience to successfully uninstall undesirable software from your operating system. Unfortunately, Media PlayerVidEd is not a regular application, and the manual removal may be ineffective. If you choose to follow the removal guide below, you must install a malware scanner to check for leftover files and other infections. If you cannot delete these yourself, we recommend employing software that has been created for this specific task. SpyHunter is a great choice, as this tool can delete Media PlayerVidEd and the associated threats, and it can also safeguard your PC. Tap the Windows key to access the Metro UI menu and open the Apps menu. Select Control Panel and choose Uninstall a program (under Programs). Click the Windows logo on the left of the Task Bar and select Control Panel. Go to Uninstall a program and find the application you wish to delete. Move the cursor to the Task Bar at the bottom of the screen and click Start. Select Change or Remove Programs and Remove Media PlayerVidEd. Quick & tested solution for Media PlayerVidEd removal.